For over 30 years, Designed by Scorpio has created unique, trend setting jewelry designs that have been seen in showrooms around the world. In fact, many nationally recognized engagement and jewelry designer brands got their start buying pieces created by our jewelers. 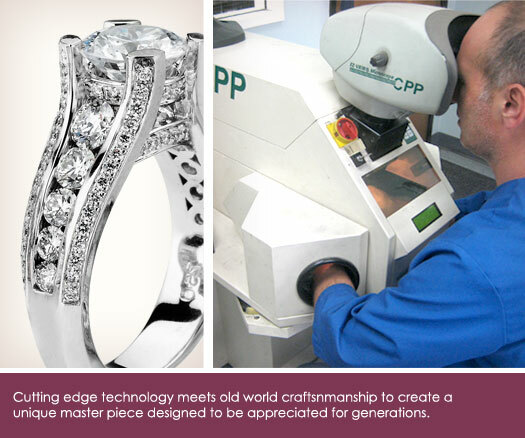 Over the decades,Hundreds of thousands worldwide have said "I do" with a ring that came out of our Los Angeles studio. Krizanti represents our jewelry crafting at it's finest. Decades of expertise go into the design and creation of every piece. 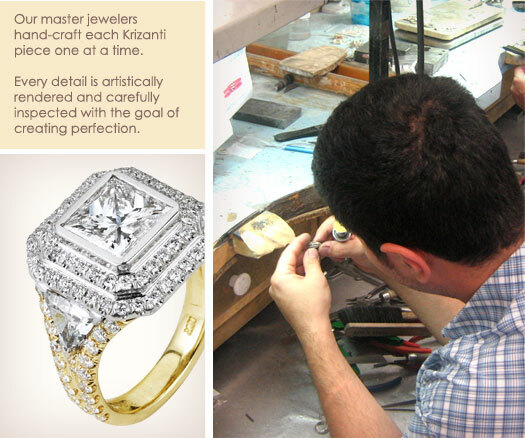 Simply put, Krizanti jewelry is of the highest quality possible. We invite you to browse our collection online and see the Krizanti difference. 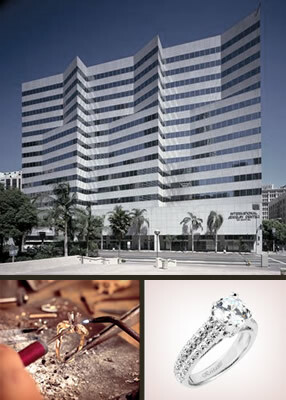 In the heart of the Los Angeles jewelry district, high on the 15th floor of the International Jewelry Center building, our designers and craftsman create some of the most beautiful jewelry you'll find anywhere. 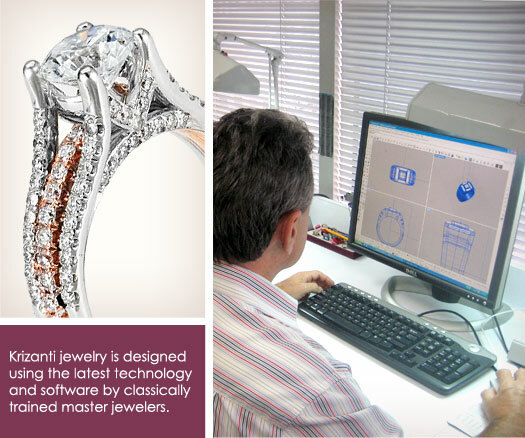 Our designers combine decades of jewelry making expertise and the absolute latest in jewelry designing software including 3D CAD, wax printing and laser welding machines to create meticulously crafted masterpieces. In our studio we have over 25,000 unique and exclusive designs that serve to instruct and inspire our in-house design staff. Our gemstone and diamond team source only the finest cut stones for use in our jewelry. Once our pieces are cast, our master jewelers hand-set every diamond and gemstone, carefully polishing and detailing each and every piece. Our final inspection team pores over every detail under 10X magnification, accepting only pieces that meet the highest standards. Our meticulous manufacturing process ensures that your Krizanti piece will shine not just for a lifetime, but for generations to come. - We reserve the right to discontinue any item without notice. - We reserve the right to correct any typesetting mistakes, if any. - Prices quoted are subject to change in accordance with fluctuations in costs of materials, gold, platinum and diamonds. Please call to verify exact pricing.